The much-anticipated art exhibition Feast: The Art of Playing with Your Food opens at noon Sunday, Oct. 13 in The New Children’s Museum, Downtown. 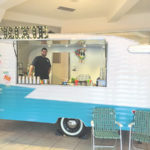 Visitors of all ages can whet their appetites on three floors of food-inspired installations that include an orange grove, kid-sized food trucks and a large bulbous-food jumpy. All of the artworks, many of them interactive, will focus on food as it pertains to health, environment, agriculture and sourcing. The event is free and runs through September 2014. 200 W. Island Ave., 619-997-3918. 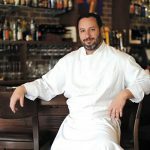 Word from MO’s Universe is that Gossip Grill in Hillcrest will relocate a couple blocks west to 1220 University Ave., into the space that last housed The Range Kitchen & Cocktails. 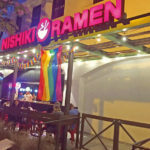 Currently located at 1440 University Ave., the move is planned for late November and includes a takeover of the adjacent outdoor patio bar. The section of the property that operated over the years as Universal, Eden and 1202 will be developed for retail use and is not part of Gossip’s expansion. 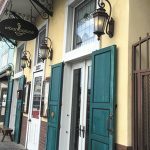 Sticking to its popular dining-and-cocktails concept, the new location will more than double Gossip’s square footage and feature a dance floor as well as a larger kitchen for increased menu development. Gossip Grill opened in 2009 and is operated by MO’s Universe, a family of “hetero-friendly” restaurants with festive bars that also includes Baja Betty’s, Urban MO’s and Hillcrest Brewing Company. 619-260-8023. 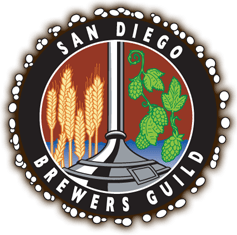 Local breweries and food trucks will converge at SILO in Downtown’s East Village from 3 to 7 p.m. Oct. 19 for Craft Beer + Bites to benefit the San Diego Brewers Guild, a supporter of several Uptown breweries. The event is a “celebration” of San Diego State University’s College of Extended Studies Business of Craft Beer Program, organizers said. Admission is $35, which now includes eight six-ounce beer pours paired with four sample dishes from the food trucks. There is also a second-tier pricing of $20 for three pours and three tastes, they said. Food plates – more like bites or tastes, organizers said – afterwards are $3 apiece. Now updated, the suds will be dispensed by AleSmith, On-the-Tracks, Culture, Monkey Paw, Societe, Stone, Mission and GreenFlash breweries, as well as BNS Brewing and Distillation Company. 753 15th St., 619-702-5655. 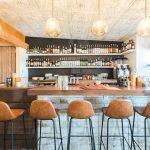 Tracy Borkum of Cucina Urbana in Bankers Hill and Fish Public in Kensington expanded her portfolio into North County with Cucina Enoteca, which opened Sept. 23 in Del Mar’s Flower Hill Promenade. The menu concept is similar to that at the Italian-inspired Cucina Urbana while overlapping on dishes created for Cucina Enoteca that she recently opened in Irvine, Calif. The new 7,000-square-foot Del Mar venture features a wine shop and in-house cheese program. 2730 Via de la Valle, 858-704-4500. A lunch menu is in the works at the new Izakaya Ouan in Hillcrest, which recently opened to the tune of 20 varieties of sake and nearly 30 types of Japanese tapas, some of them prepared sous vide style. The eatery was launched by Ken Inoue, who previously worked at the famed Morimoto in Napa Valley and at Japengo in La Jolla. Open currently for dinner, Inoue says midday meal service has begun. 3882 Fourth Ave., 619-683-3230. 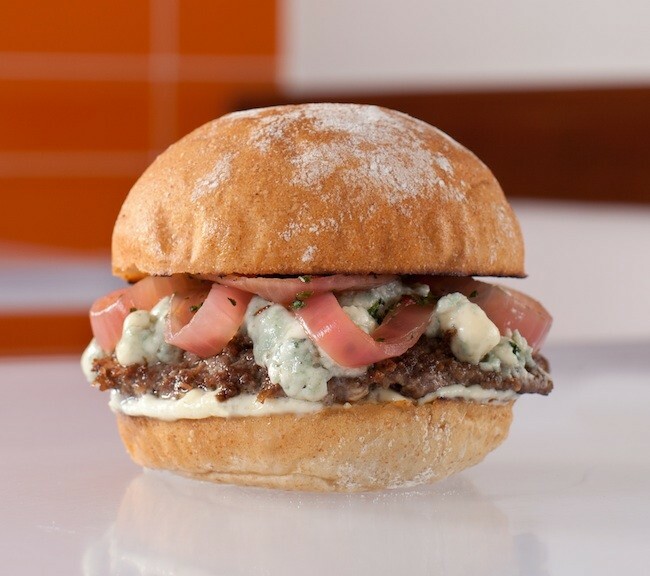 This year’s “game changer” burger series at Burger Lounge began Oct. 1 with grass-fed bison patties served with bleu cheese, pickled onions and garlic aioli. 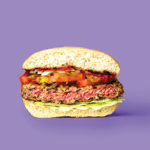 The seasonal lineup changes every two months, continuing with wild boar burgers offered throughout December and January, followed by grass-fed elk burgers appearing on the menu during the months of February and March. The locally based company has seven locations in San Diego, including one in Hillcrest at 528 Fifth Ave., and another in Kensington at 4116 Adams Ave. Chef Aron Schwartz of Marina Kitchen has launched a series of intimate, wine dinners that cater to 12 customers from 6 to 9 p.m. every Saturday. Guests begin with freshly sliced charcuterie, followed by five courses comprising sustainable proteins and locally sourced organics. Marina’s Advanced Sommelier Josh Orr will oversee the wine pairings with selections from the restaurant’s award-winning wine list. The cost is $80 per person. In addition, Schwartz has added a couple of new smoked-meat dishes to his regular dinner menu such as brisket with peach barbecue sauce and New York strip with roasted steak fries. 333 W. Harbor Drive, 619-699-8222. Those who insist that Italian food isn’t as good outside of New York City and San Francisco are all wrong. With an ever-growing number of noteworthy pasta kitchens in San Diego, there is Davanti Enoteca, which recently made the list for “America’s 20 best Italian restaurants” by the well-respected culinary blog, TheDailyMeal.com. The Little Italy restaurant, owned by Chicago restaurateur Scott Harris, shares the honors with places like Mario Batali’s Babbo in New York’s Greenwich Village and Osteria Mozza in Los Angeles. 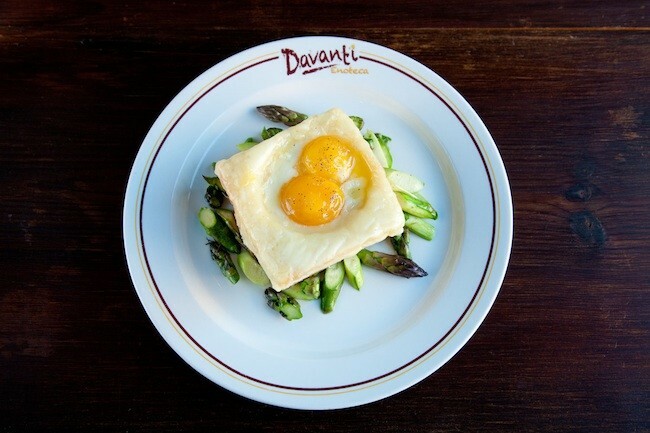 A panel of national food judges cited Davanti for its rustic ambiance, in-house wine shop and various dishes such as the “fiendishly delicious” truffled egg toast. Davanti has an additional location in Del Mar plus others in the Chicago area. 1655 India St., 619-237-9606. Editor’s note: the story has been updated online and differs from the print edition, with new pricing and an updated list of breweries participating in the SILO event Oct. 19.